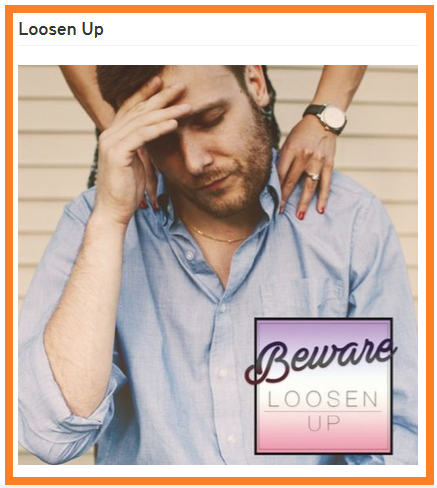 BEWARE, former writer for the legendary blog The Smoking Section meditates on living in the anxiety age with his instrumental, cross-genre ‘Loosen Up’ project. The first two cuts show off a dance influence, ‘Our Exes’ kicks off with a morose meltdown from a sitcom character; the desperate yet optimistic ‘Make it Work’ sounds like early Cassius track played on a busted tape deck. Tracks three and four have a mid to downtempo hip hop flavour. The twisted-yet- beautiful ‘Duck Duck Goose’ evokes The New Beatmaker favourite Evil Alex; whilst ‘Salty’ could be a perfect instrumental for an introspective Beanie Sigel. ‘Victor Red’ has a gorgeous hip hop / RnB vibe evoking images of an idyllic paradise…The strings and female vocal samples are especially poignant touches. The melancholic and meditative ‘Good Tipper’ brings to mind ‘Play’ era Moby; whilst the old school beat and evocative strings of ‘BoFIII’ are a nice way to begin winding down the project. The final track ‘Up & Atom’ Bomber’ has an early noughties indie rock feel and ends the project nicely. Where the project could falter is in mixing. Sadly, the bass lines are lost on high street earbuds; at times the key elements of the track could do with a bit more mid-range presence; and throughout the project high end info is sacrificed in the name of the projects' dark concepts of stress and anxiety a tad too much. Even with these subjective critiques, ‘Loosen Up’ is an accomplished exploration of trying to survive in these trying times.